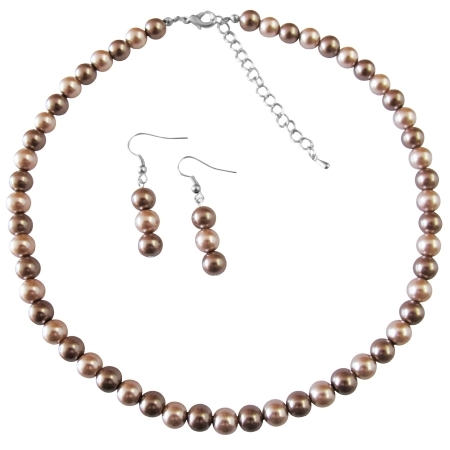 Champagne Pearl Bronze Pearls wedding color pearls jewelry. Necklace adorned in single strand necklace with 3 pearls dangling earrings at very affordable price. Customize jewelry for Flower Girls.